A beautiful and delectable cake is the perfect finish for any meal. Whether you are celebrating a birthday, an anniversary, a special accomplishment, or just the opportunity to get together with friends and family, a specialty cake offers a dramatic presentation and a delicious final bite for your guests. 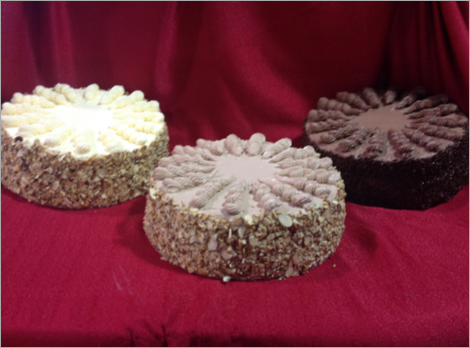 For over 50 years we have specialized in crafting indulgent German buttercream tortes. Each sumptuous homemade cake is made from moist yellow or chocolate cake with fruit filling and German buttercream.